LajvVerkstaden is a non profit organisation with its base in Västerås Sweden, but with projects in all of Europe. 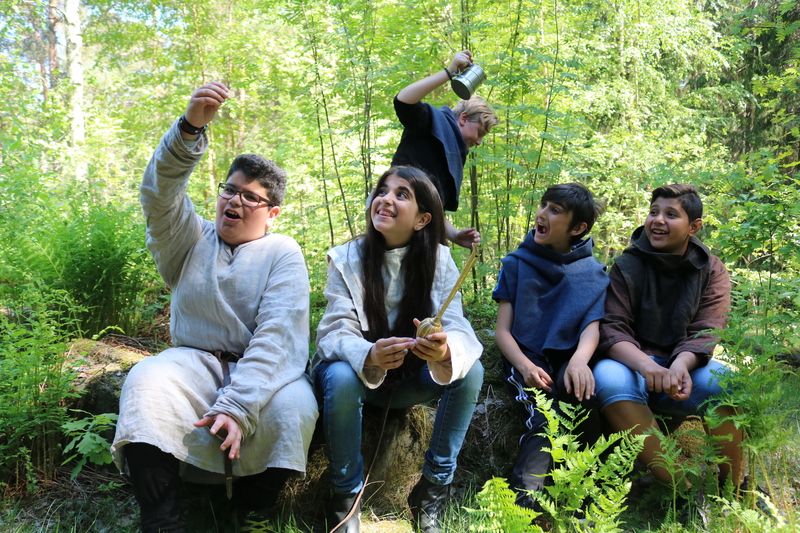 We work with larp as a pedagogical method and artform. We design and execute experiences that focuses on participation. We have a great width in our larps, it can be larps for school with the intent to complement the classroom teachings, larps about democracy and equal rights or larps that focuses on the group enjoying themselves together. Each year we meet thousands of children and youths and every larping experience is unique. Larp is a collaborative storytelling in which everyone participating have the authority to shape and adjust the course of the story. Our participants gets the chance to take control of their own experience and a lot of the time they save the world. Activities where everyone participates, in opposite to being observers, teach people to take responsibility for themselves and others. Our aim is to help people practice their imagination and creativity and to offer a space where they can dare to challenge themselves and grow. We want to contribute to the making of a braver world where mankind, the school system and corporations work together for a society that is equal, diverse and sustainable. Our contribution is our method that effectively enhances the participants growing as people and develop their own initiative, self trust and abilities for cooperation. Our goal for larp as a artform is to make it available for a wider audience. We work towards this goal by organizing short free of charge larps where we contribute with all costume and props. 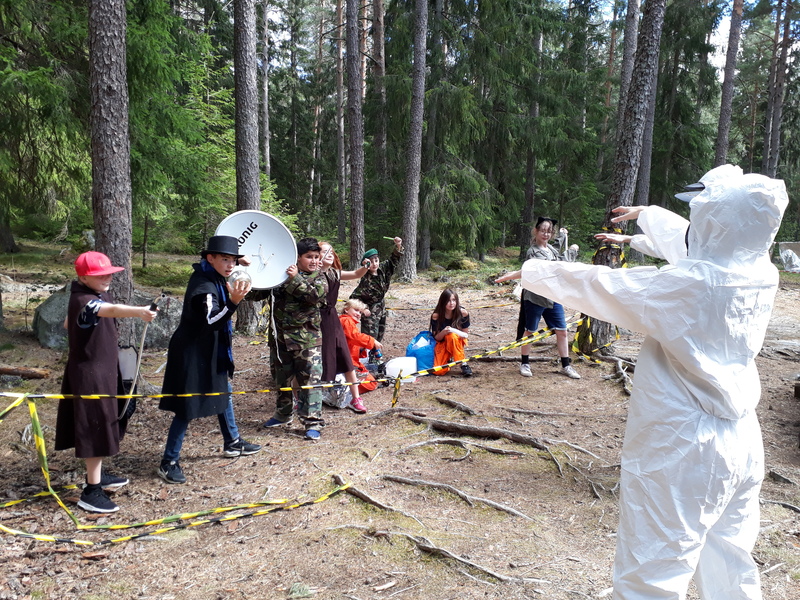 For the last 10 years we’ve been organizing free of charge larps during the holidays in cooperation with Swedish municipalities. In this way we create those special holiday experiences available for more children and youths. We are also connected to Interaktionskontoret which field of expertise is to design and shape interactions between people to maximise the constructive output, respectful interactions and efficiency. We consider ourselves hitting two birds with one stone in this: The things we do to make us more effective as a group will also make us feel good as individuals, feel seen and better our self-esteem. Our educations will help you making your workplace more efficient by working with the Human Factor instead of against it. We have been working in a lot of different areas, from school and libraries to businesses and universities. We have worked with all ages in different projects for all types of people. Beyond the ready to order packages that we offer, in a varied area of genres and subjects, we would love to hear from you what we can do for you. Live action role-play is an adaptable method that can work in many situations, and our experience say that there is no project strange enough for us. We are also open for cooperations between organisations that are in need of our competence in creative and innovative solutions to your project.